Schools across the nation, both public and private, participate in programs that measure students reading comprehension, which are commonly known as or AR Reading (Accelerated Reader) or Counts. Students are encouraged to read daily, in and out of school, then take a quiz about the book and earn a specific point value. All books are assigned a reading level so children are fairly free to select titles that interest them within a specific range. 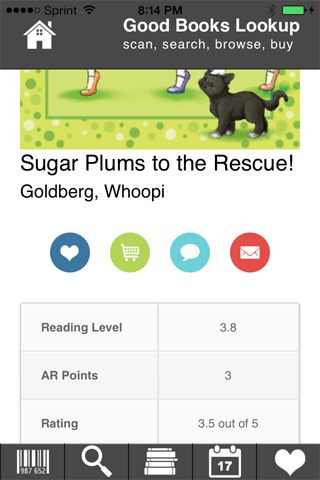 My two oldest children have had tremendous success with the AR Reading program that is used in their schools. When my eldest was an emerging reader, she was highly motivated to earn points and read a variety of titles. 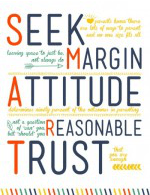 She is definitely self driven and competitive, so this spurred her on to read a great deal, especially outside the classroom. She is now in middle school and AR Reading is no longer part of her education, but she remains a voracious reader because of the habits she formed in her early elementary years. My son, currently a third grader, has also had success with AR Reading. He is not as competitive as my older daughter but enjoys earning points, setting goals for himself, and exceeding them. He frequently reads with no prompting when he is out of school and likes to take the quizzes. For me, our biggest struggle with AR Reading has been finding appropriate books for my kid’s specific level. Bookstores and our public libraries don’t always label the books with point values or levels and we acquire the majority of our titles from those locations. Fear not, there’s an app for that! Here are some suggestions to help your little readers find books that interest them and correspond with their reading level. Good Books Lookup App $.99: Simply scan a book’s barcode to retrieve the AR reading level and number of points the book quiz is worth. 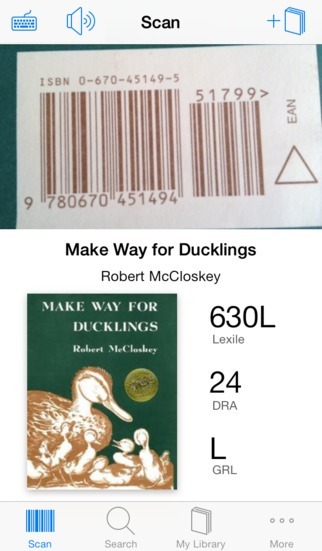 BookScanner App $1.99: Another easy peasy app where you simply scan a barcode to obtain all relevant AR Reading info. The Literacy Leveler is $3.99, but does a bit more than some of the other available AR apps. Not only will it scan books and provide level information, but it also allows you to keep track of books read in a library format. This app is specific to grades K-8 and got high reviews from parents who had been frustrated with other AR apps. If you want help finding books your kids will like to read and that are age appropriate, we’ve got a whole series on book suggestions by age. 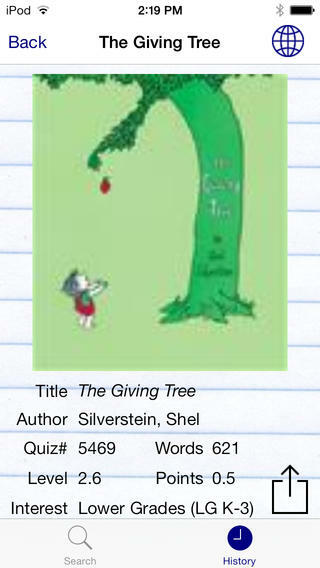 Follow Sunshine and Hurricanes ‘s board Early Elementary Reading on Pinterest. 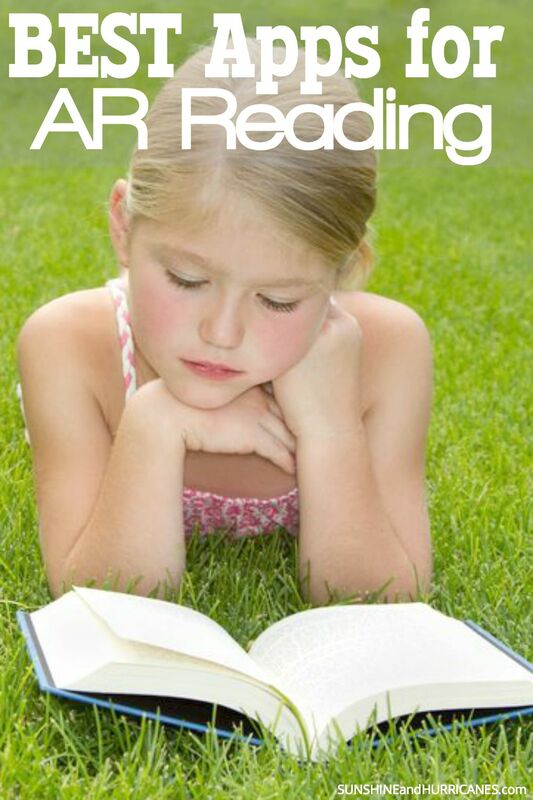 Do your kids participate in an AR Reading program at their school? There is also a free Accelerated Reader app that lets you look up books and quiz point values, as well as track your child’s official AR progress. Arbookfind.com gives you levels and points for free. Thanks for sharing this list of apps. Looking into Book Scanner right now!